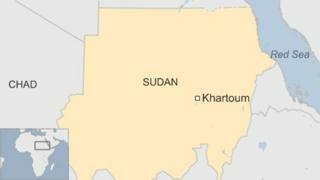 Police in Sudan say a Spanish embassy official has been found stabbed to death in the capital, Khartoum. The 61-year-old, who has not been named, was the head of the visa section at the embassy, and had been living in Sudan for three years. He was found dead at his home in Khartoum's eastern district of Garden City in the early hours of Monday, officials said. The police and Sudan's foreign ministry said an investigation was under way. A diplomatic source in Spain confirmed the death, according to Reuters news agency. The motive behind the attack was not immediately clear. A Russian official and his wife were wounded in a stabbing outside the Russian embassy in Khartoum in January. However, it is relatively uncommon for consular staff to be targeted in Sudan.